Help me choose, pretty please? My mother-in-law is going home for a vacation from Saudi Arabia this month. She is a chief nurse in a government hospital there and every time she goes for a vacation here, she always ask me for a "pasalubong" that I want. She already gave me different perfumes and jewelries. This time, I wanted something different. 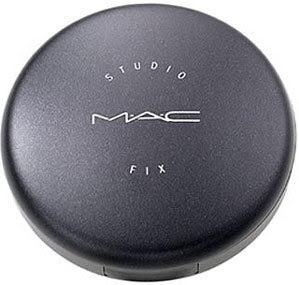 Since I'm just a few swipes away on hitting the pan of my MAC Studio fix powder foundation, I realized that this will be my chance to have a new one. But I'm confused because I have read good reviews on other powder foundations like Kanebo, Revlon and Shiseido. I told my husband that it would be a lot cheaper to buy one of these at Duty Free Fiesta Mall. I'm still undecided what powder foundation to buy. By the way, I'm just using this during special occasions or having a girls night out. I'm a plain housewife and I seldom go outside the house. My dear readers, please help me choose and decide. I know it's a trial and error when it comes to finding the right powder foundation. Your suggestions and comments are highly appreciated. Thanks a lot! Kanebo Coffret d'or or Shiseido is my bet. Revlon powder is not that good! I don't like Revlon's powder that much either. Anyway sis, I think it's best if you check your nearest Shiseido counter and test their powder to see if it's good for you. It'll be a little hard din kasi if you rely on others' opinion since hiyangan din yan. Just my two cents. Less breakout stories with that one.